Please join us for these amazing events! Are you a foodie, gardener, farmer, or just love to eat quality, local food?! 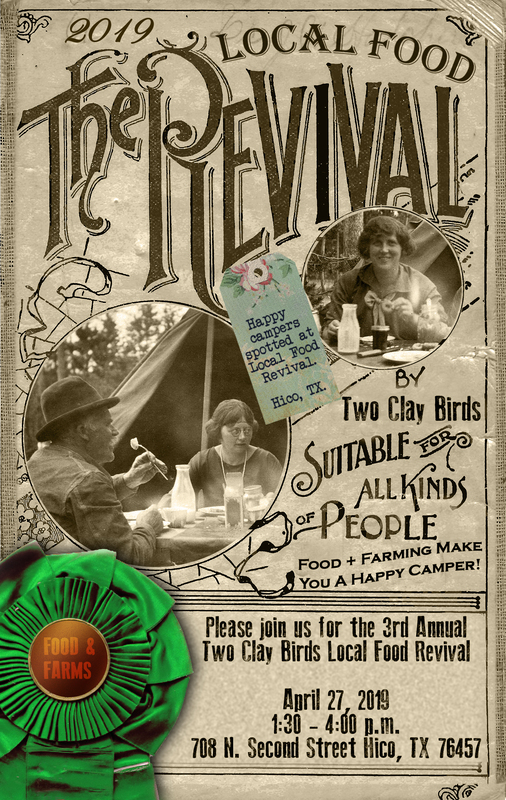 Then you won’t want to miss Two Clay Birds’ 3rd Annual Local Food Revival! This is the day, each year, that we focus on the local food community. It’s FREE to attend. Shop at vendor booths with area farmers and artisans. Sit in on kitchen demonstrations, hear talks from all-natural farmers and conservationists, and celebrate your place in the local food scene. 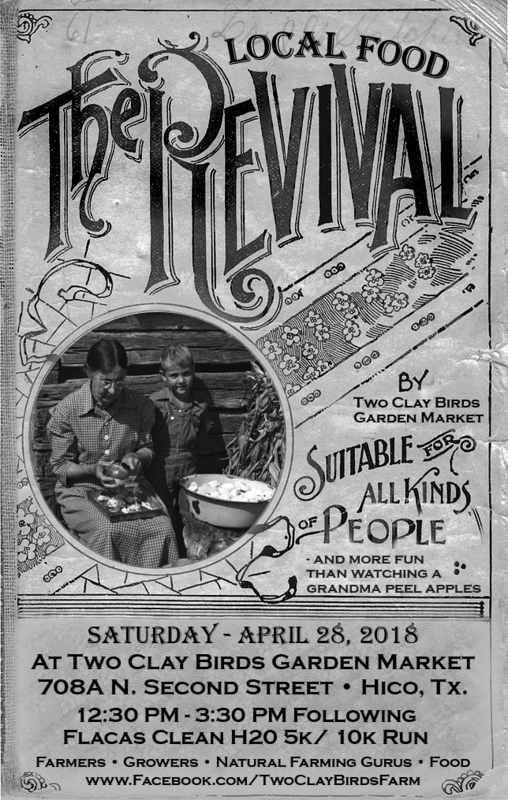 Join us in Historic Hico, Texas Saturday, March 24 as we celebrate the arrival of Spring. All Day Celebration with special events, refreshments, and good family fun. Siloville Climbing Gym, Flacas Fitness & Brews, Silver Spur Winery, Hico Popcorn Works, Blue Star Trading, Sugar Moon, Hill Country Dwellings, Two Clay Birds and Pecan Street Drink Shoppe. Find more info and let us know if you’d like to attend at our Two Clay Birds Facebook event page.